Our easy front loading commercial dumpster is an affordable and convenient way for any small business to service their waste production. 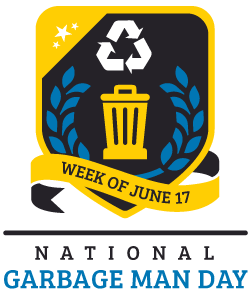 Front loading dumpsters vary in size from 2 yards, 4 yards, 6 yards and 8 yards across and can be used for either recycling or garbage. 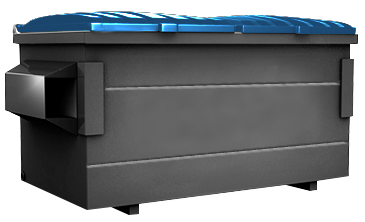 Ideal for permanent waste management, these dumpsters are appropriately placed outside restaurants, hospitals, apartments, grocery stores, gas stations and many others businesses. Unlike our larger roll off dumpsters, front loading dumpsters are filled from the top and either side of the dumpster. Front loaders are also fitted with a lid to keep your facility clean and odor-free. These dumpsters are perfect for long term commercial usage. Garbage collection frequency varies anywhere from daily to monthly pick up depending on the amount of waste generated. 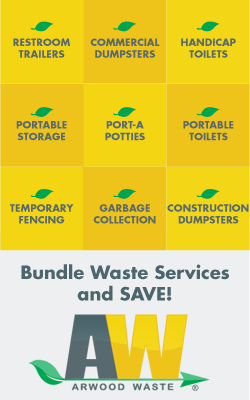 We can help you find the exact dumpster size, type and service that will meet your needs. Answer to questions about recycling options, needed equipment, contract terms, reuse methods and pricing are just a phone call away. We also can offer information about our waste collection services. 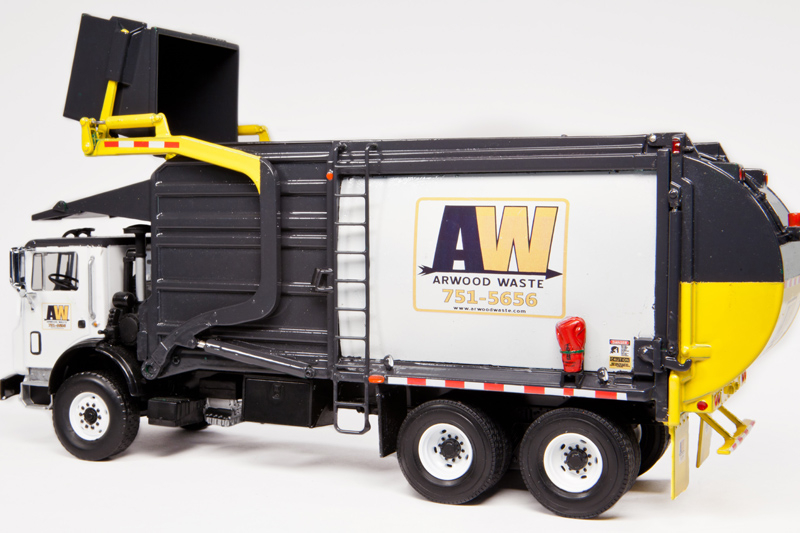 Our 2 yard front loading dumpster is ideal for small waste volume businesses and mixed debris. This dumpster is fully enclosed and is perfect for municipal solid waste and mixed trash. Dumpsters are serviced as frequently as every day to less frequently monthly pick up. The 4 yard front loading commercial dumpster easily services small businesses, mixed debris projects and most other uses. This dumpster is fully enclosed with side doors and is perfect for municipal solid waste and mixed trash.Dumpsters are serviced as frequently as every day and are easy to maneuver. Our 6 yard front loading dumpster is one of our most popular dumpsters and is great for medium volume businesses and apartment complexes. This dumpster is fully enclosed with side doors and is perfect for all types of trash and debris. Garbage collection frequency varies anywhere from daily to monthly pick up depending on the amount of waste generated. Our 8 yard front loading dumpster is a popular dumpster size and is great for large volume businesses such as office complexes, warehouses, schools and apartment complexes. This dumpster is fully enclosed with side doors and can be configured to dock level loading.Garbage collection frequency can be as frequent as daily to monthly pick up depending on the amount of waste generated.